Attorneys who run small firms and solo practices typically fill a lot of roles, and they’re often stretched well beyond their limits for time. It’s no surprise, then, that many, if not most, of those lawyers are giving short shrift to building their firm’s brand and marketing that brand. You’re a law firm, not a marketing firm, right? It would be great if that’s how today’s market worked but it simply is not. If you begin with sound branding and marketing practices, though, these things will ultimately bring more prospective clients to your door with less active effort on your part. Your firm needs to distinguish itself from competitors to gain notice from those prospects. Obviously, your successful legal work will be the most important factor in the final accounting, but without effective branding and marketing, how will your prospects hear about that work? Design For Clear Identity – Your firm’s visual branding is a set of carefully crafted elements that will be immediately and unmistakably identifiable. From your logo to the colors, fonts, and sizes used to design your digital media and print collateral, everything in your visual branding package should present the viewer with a distinct and memorable impression. Google “law firm logo,” then click the images tab. How many logos and templates do you see that use a gavel or the scales of justice? Those designs are a wasted opportunity because they will never stand as a unique identifier for the law firms using them. Design For Consistency – Consistency of message and visual branding are extremely important in marketing. The overall message needs to be consistent with the work your firm does and the philosophy behind your practice, and the visual elements of your firm’s branding have to be consistent across a wide range of media. Your logo needs to look as crisp on your business card as it would on a billboard or bus panel, and the colors have to be carefully chosen to look the same in print (on a variety of media) as they do on a computer screen. Clean, simple, original designs are more readily scalable than more complex ones, and they’re more memorable as well. Design For The Future – Logos and branding definitely have a fashion cycle. It moves more slowly than clothing trends, but like clothing, if you buy today’s trendy branding, you’re going to need to update more often so you don’t look outdated. Remember the mid-to-late-’90s, when acid green and royal purple were all the rage for logos? What do you think today when you see a company who is still flying those colors? In most people’s minds, it doesn’t reflect well. Discarding and changing your visual branding, especially your logo, breaks the recognition you’ve invested in building, and ultimately weakens, your brand. Think about the most famous logos you can bring to mind. Many of the most recognizable have not changed significantly in 50 or more years, and because of that, people can recognize them anywhere, even with no text at all. Work with your logo designer to create a more timeless logo that could be updated with more subtle changes like altering the font or slogan later. The old phrase “start out as you mean to go on” is especially applicable in marketing because successful marketing efforts are built on consistency. 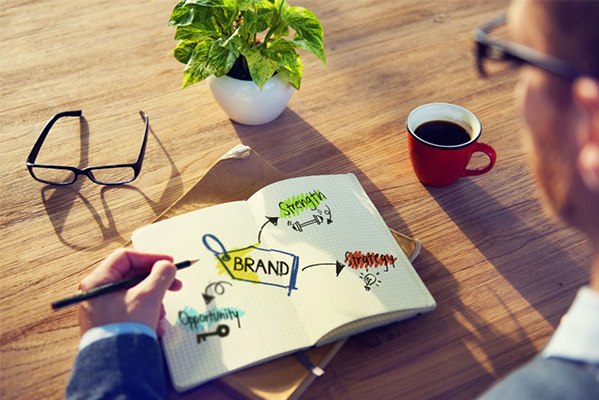 If you’re launching or re-launching a marketing program for your law firm, branding is the cornerstone. Effective branding will bring you a better return on your investment sooner, so you can spend more time doing billable legal work for clients.